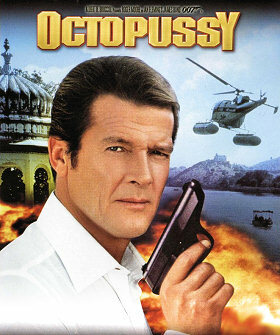 James Bond is assigned to solve the murder of agent 009, killed in East Germany clutching a fake Faberge egg. The trail leads to India where an enigmatic woman operates a smuggling ring under the cover of a travelling circus. 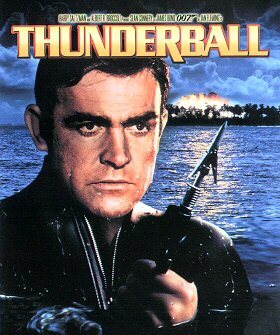 But her real motives prove to be far more sinister, and Bond uncovers a plot to blow up a US air force base in West Germany. SPECTRE has hijacked two atomic bombs from NATO and threatens to destroy an important city in the US or England unless their ransom demand is met. James Bond has only four days to thwart SPECTRE mastermind Emilio Largo and prevent a nuclear holocaust. Thanks to `Gerard` for the alert.